More than 30 short video clips from one of the world’s foremost experts on working with PMC®. From getting started to creating textures to setting stones to creating molds, all the hands-on information you need is here with each technique demonstrated. Learn construction techniques, drying and firing procedures and finishing and patination processes. 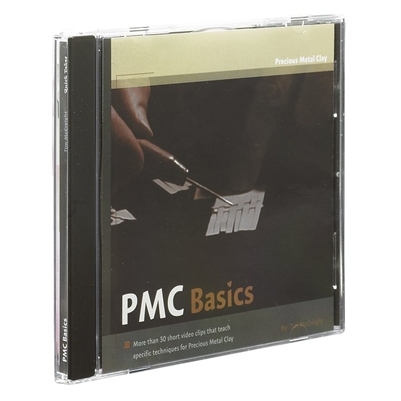 Includes an introduction to original PMC and other PMC varieties. Media: DVD; approximately 70 mins.